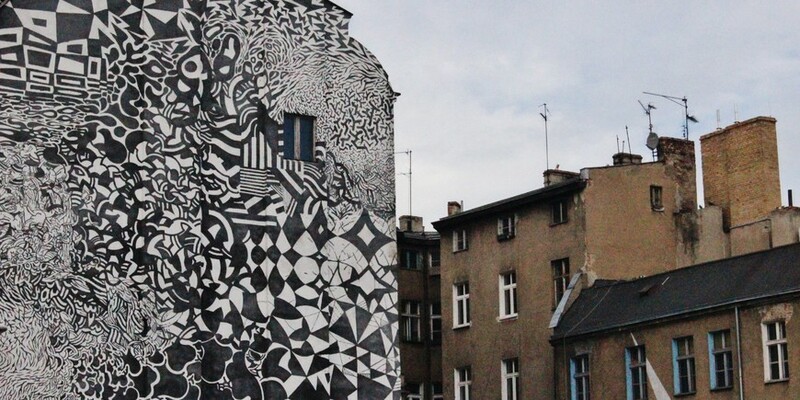 Created as part of the first Outer Spaces Festival in 2011, this psychedelic black-and-white mural by Dutch visual artist Jeroen Erosie is actually the ninth in a series of murals he has created all over the world, including London, Paris, and Berlin. 'Horror Vacui' - literally translated from Latin as 'Fear of Empty Space' - is a term in visual art used when the entire surface of a piece is filled in with great detail. The mural was also featured as the cover image of Dutch DJ Martyn's 2011 album Ghost People, which includes a track called Horror Vacui.